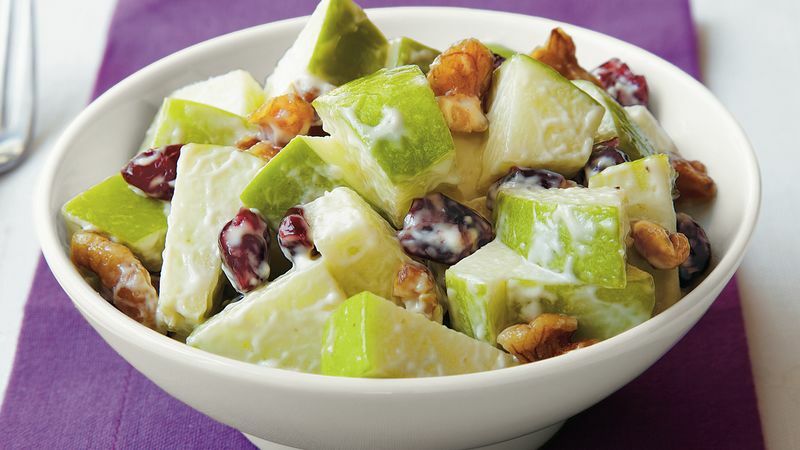 In medium bowl, toss apples, cranberries, mayonnaise, lemon juice and salt; sprinkle with walnuts. Serve or cover and refrigerate until serving time. To toast walnuts, stir them in a skillet over medium heat 5 to 7 minutes, or bake them in shallow pan at 350°F 6 to 10 minutes, stirring occasionally.